On the left, the motion of the planet/body under gravitation, on the right, the circle of velocities. 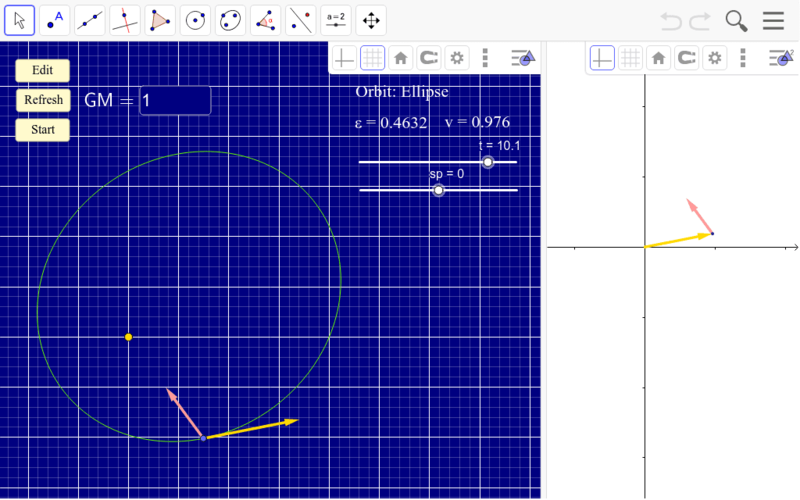 Checking “Edit@O” allows to choose a point on the grid as tip of the velocity vector. This is useful when you want to simulate an orbit with E=0 or L=0.